The ride is run each September in the lead up to National Police Remembrance Day, to raise funds for police-related charities and to promote safe and lawful motorcycling. Riders will depart from every capital city to Canberra to rally as one group to the National Police Memorial for a ceremony honouring the fallen. After the event, a formal function will take place at the Fitzroy Pavilion, Exhibition Park in Canberra (EPIC) Cnr Flemington Road & Northbourne Avenue, Mitchell ACT. 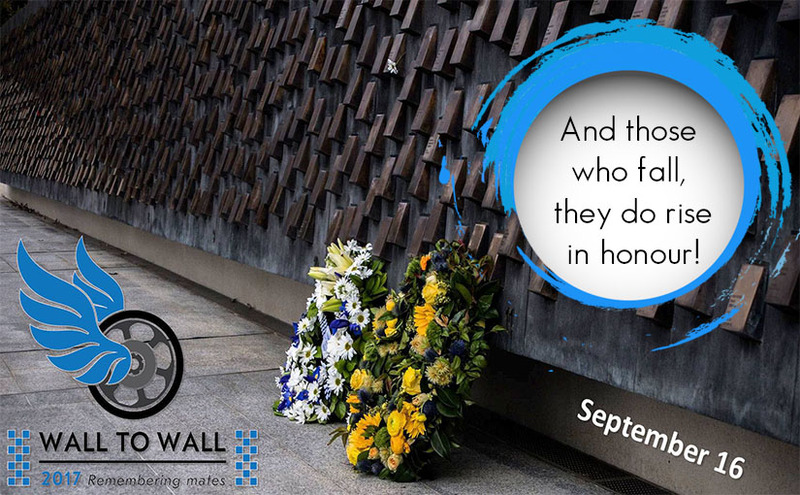 Last year, Southern Cross Group sponsored the Wall to Wall Ride for Remembrance, which was held on 17th September. Read more about the Wall to Wall Ride 2016 here.